From the moment you step into our home decor store, you’ll notice a difference. We take the time to get to know your design style and budget to find the best products for your space. Our home decor store is filled with a vast variety of designer-inspired home decor to make it easier than ever to create the home of your dreams. At Encore Consign + Design, our staff of talented interior designers is prepared to assist you with the sale of your home furnishings and home decor. When you choose to consign with us, you will have the ability to leverage our extensive marketing platform to help you avoid the risks and inconvenience of direct selling. We’ll strategically stage your item in our showroom to maximize visibility and appeal to a wide variety of buyers. To learn more about our consignment process, please click on the button below. Our home decor items are some of our most popular sellers. We consign some of the most unique home decor items from homes all over the Coachella Valley. 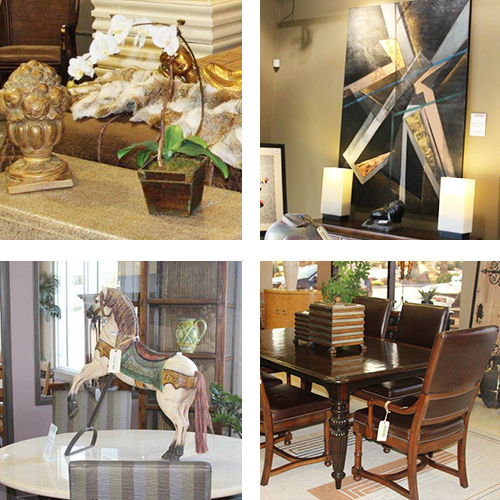 Our furniture showroom spans over 23,000 square feet and is full of home accents for the entire home. If you are ready to consign your furniture with us, or ready to redecorate your home with practical, yet elegant home furnishings, we invite you to visit us today. We make it easier than ever before to create the home of your dreams.